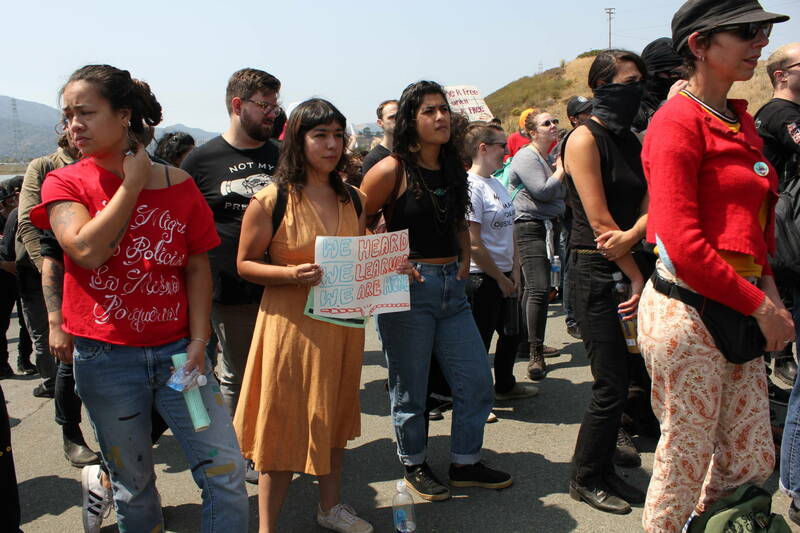 More than 100 protesters wound their way up to the entrance at San Quentin State Prison in support of a more than two-week nationwide prison strike on Saturday. "That never, ever, ever would have happened," said civil rights lawyer Stephen Bingham of some passing cars honking their horns at the protestors. He said that kind of support wouldn't have been seen in the '70s. In 1971 Bingham fled the country after being accused of helping pass a gun to a prominent Black Panther known as George Jackson, a man who was held for much of a decade in solitary confinement at San Quentin for stealing little more than $70 worth of gas. Bingham says Jackson and his subsequent death at the prison, alongside three guards and two inmates, inspired people to pay attention to what was happening inside jails for the first time. Forty-seven years later, inmates across the country launched this week's strike on Tuesday, August 21, the anniversary of Jackson's death. "And so his name has been legendary," Bingham said. Standing at San Quentin's gate, Bingham, who was later acquitted of the charges against him, is optimistic about prison reform. "These ten demands are so reasonable," Bingham said. According to NPR, Jailhouse Lawyers Speak, one of the groups organizing the strike, cites a riot in April at South Carolina's Lee Correctional Institution as inspiration for the demands. Seven inmates died in that riot. The group of incarcerated prisoner rights advocates calls the Lee riot "a senseless uprising that could have been avoided had the prison not been so overcrowded from the greed wrought by mass incarceration." 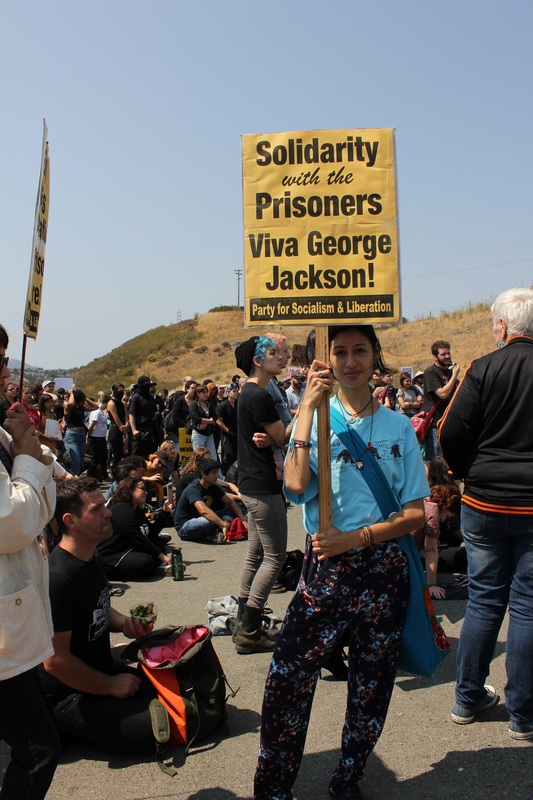 The list of demands for this strike includes things like regular wages for prison workers, an end to life without parole and more rehabilitation programs. 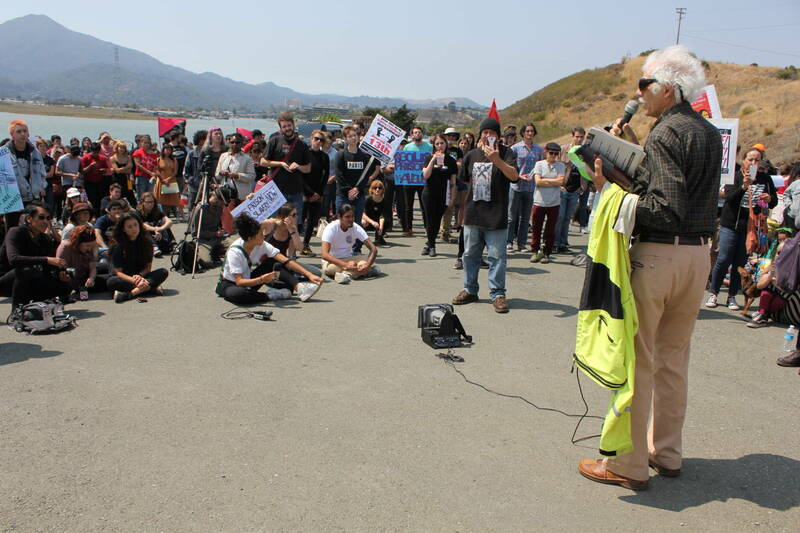 Activists say they believe that some inmates are already refusing to eat or work in protest. Jamier Sale says he came to San Quentin to amplify their voices. "None of the demands say 'let us out,' they're saying 'treat us like humans.' That should tell us something about the conditions that they're facing in there," Sale said. "So just displaying these demands has a tangible effect on people's consciousness." 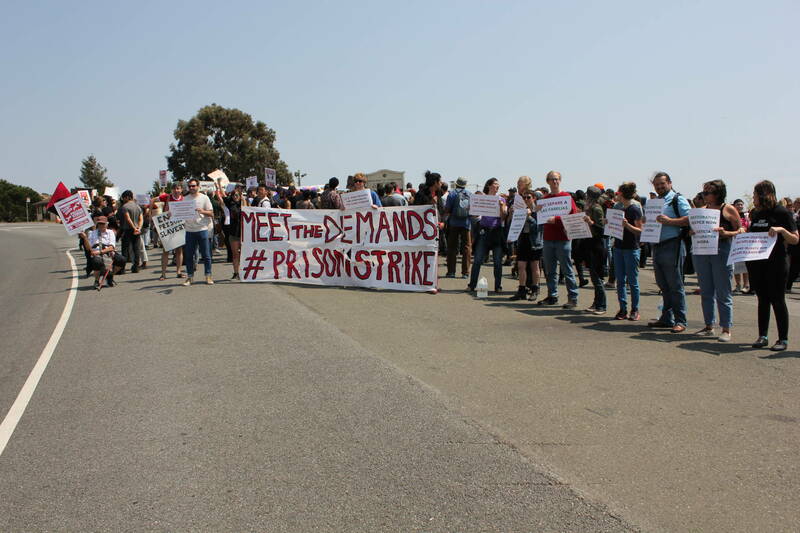 The California Department of Corrections and Rehabilitation says it has no indication that prisoners are participating in the strike.